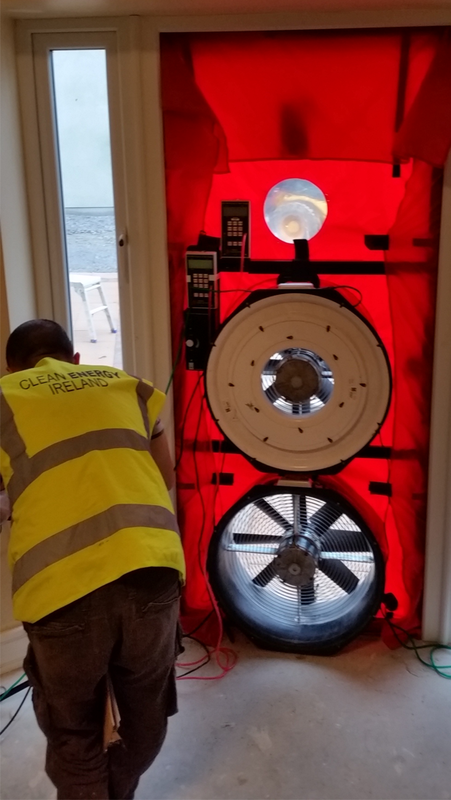 Clean Energy Ireland are testing building since 2007 and have in excess of 1,000 tests completed, therefore, we are well positioned to help you achieve the levels of air tightness required. Our equipment and expertise allows us to test a range of buildings types, from studio apartments to multi-storey office blocks. - Advice on the Airtightness regime. - Design reviews, checking design details to ensure they are robust and likely to be airtight when complete. - Site inspections to ensure that the building is being constructed in an airtight manner. 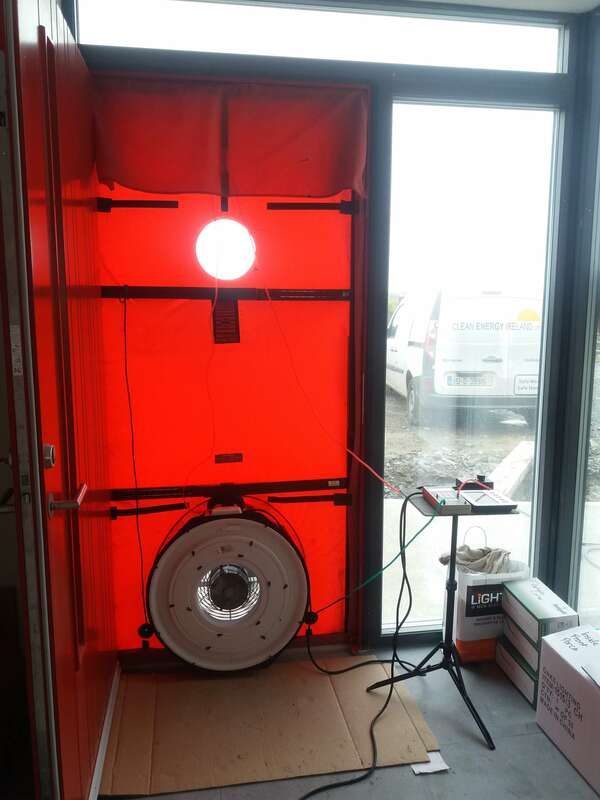 - Smoke testing for the localisation of the air leakage points. - Thermal imagery for airtightness and insulation fault finding. 1. NSAI Certified Engineers and procedures, ensuring that your test results are immediately recognised by architects/engineers, building control and ber assessors. 2. A rapid response from personnel who are based in Munster & Leinster. 3. 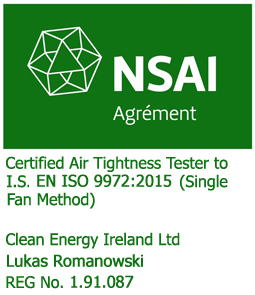 A one-stop-shop for airtightness testing and Mechanical ventilation testing. 4. Minimum disruption on-site with immediate results. 5. Practical, cost effective support on-site if your building fails a test. 6. A range of supporting services including thermal imaging and smoke tests. 7. Flexible, competitively priced service for every customer type. 8. All our test equipment is calibrated annually to UKAS requirements. Airtightness testing is an important aspect of the Department of Environment TGD Part L (available from www.environ.ie). - CIBSE Technical Manual TM 23 (Testing Buildings for Air Leakage) ATTMA TS 1 (2006). 1. Test location and opening size. 2. Size and condition of house. 3. Interference to other work during test process. 5. Accessibility to all rooms in the property. 6. Implications of unsavoury weather conditions. We allow sufficient time for a retest of a house so that we achieve the best performance. The test equipment is calibrated to UK National Standards requirements.